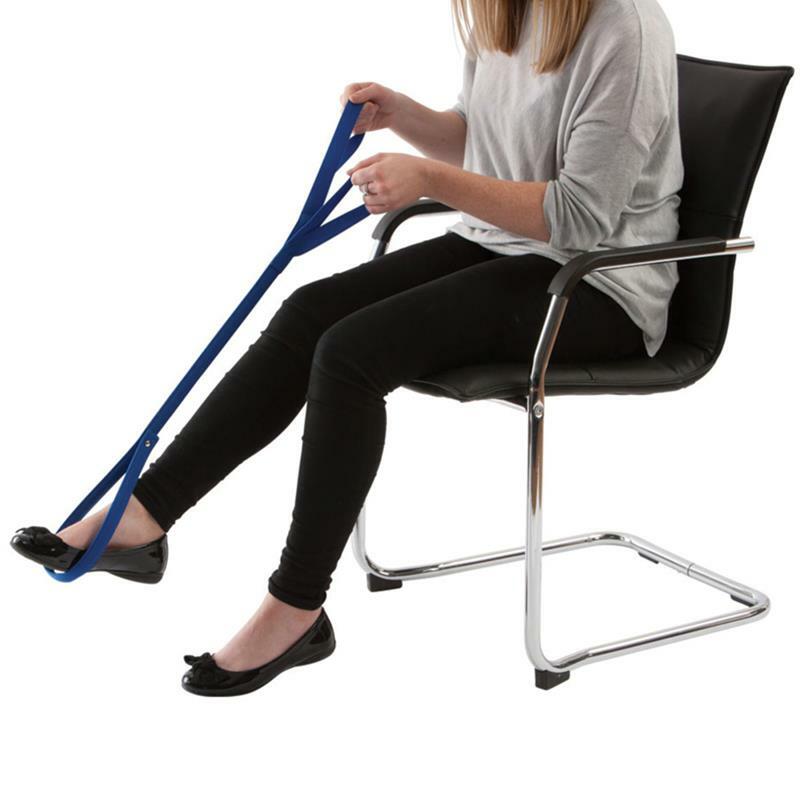 The double handed leg lifter is designed to help people who cannot lift their leg with one hand. The two upper loops fit around the both of your hands and wrists and the lower stiffened loop slides over your foot. Length is 865mm (34"). Handy when in bed or using a wheelchair or foot stool. The double handed leg lifter is designed to help people who cannot lift their leg with one hand. The two upper loops fit around the both of your hands and wrists and the lower stiffened loop slides over your foot. Handy when in bed or using a wheelchair or foot stool. Strong but very easy to use.